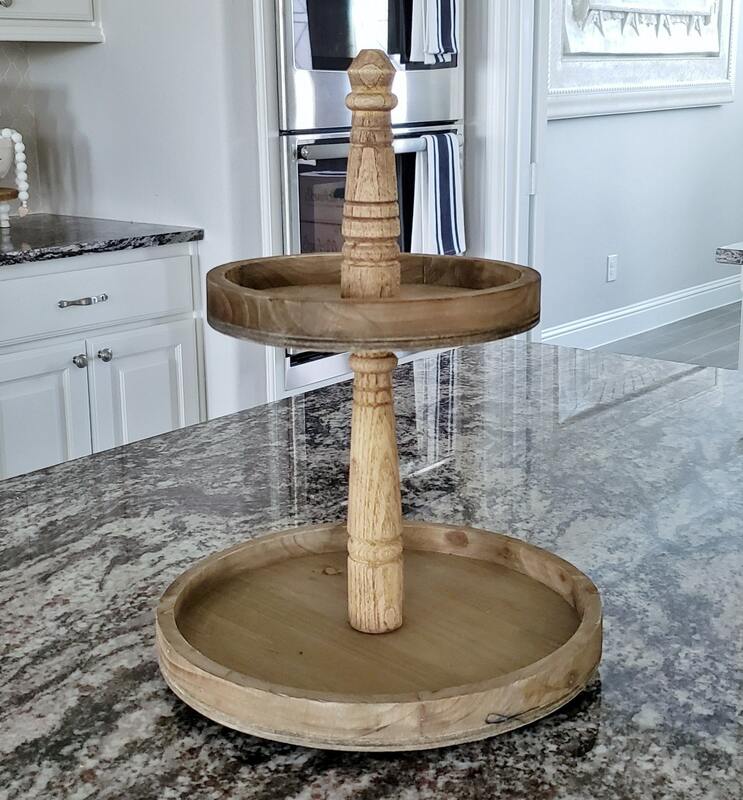 Rustic 11x15 Paulownia Wood 2 Tier Round Tray Stand in Unpainted Finish. 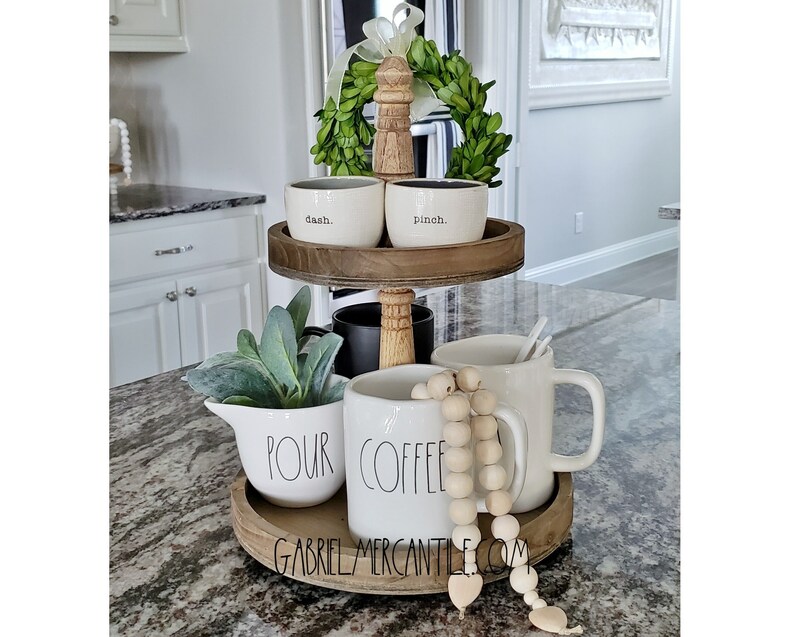 Description: Hand-Crafted & Hand-Painted 2-Tier Tray with two wood circles. 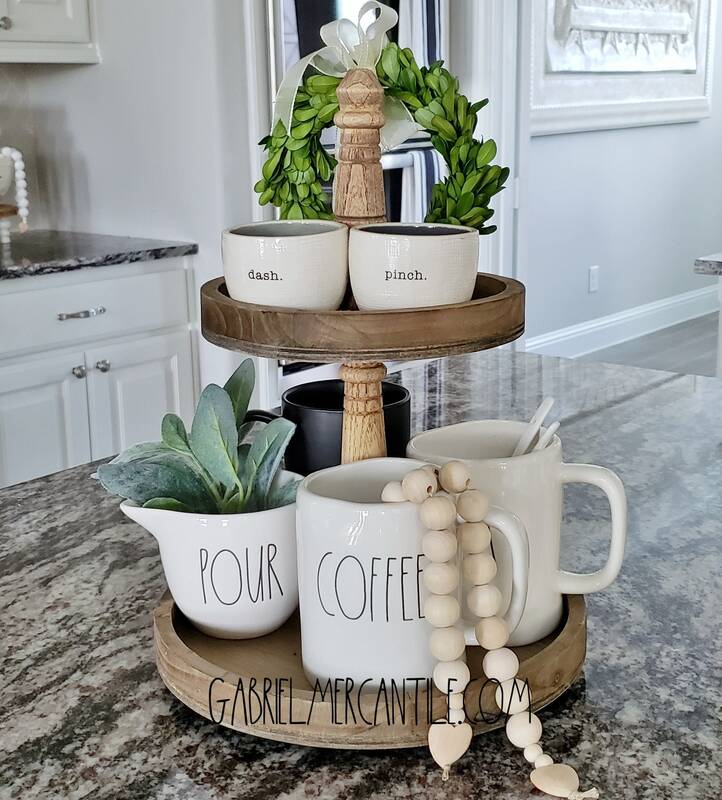 Available in White, Gray , Black , Cream, Espresso & Unpainted. The tray is slightly elevated with .25 inch wood pads at the bottom. Coffee mugs & other decorations not included. -Distance between trays is 7.75"
Smaller than I thought but still a beautiful piece! I'm very happy with it!